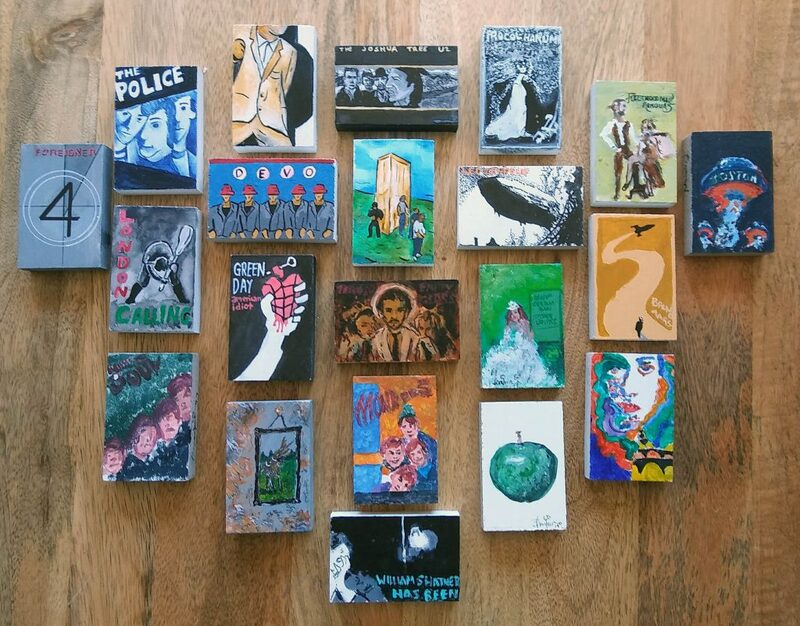 A bunch of the ‘Oddballs’ decided to paint blocks to match famous album covers for Record Store Day in April. 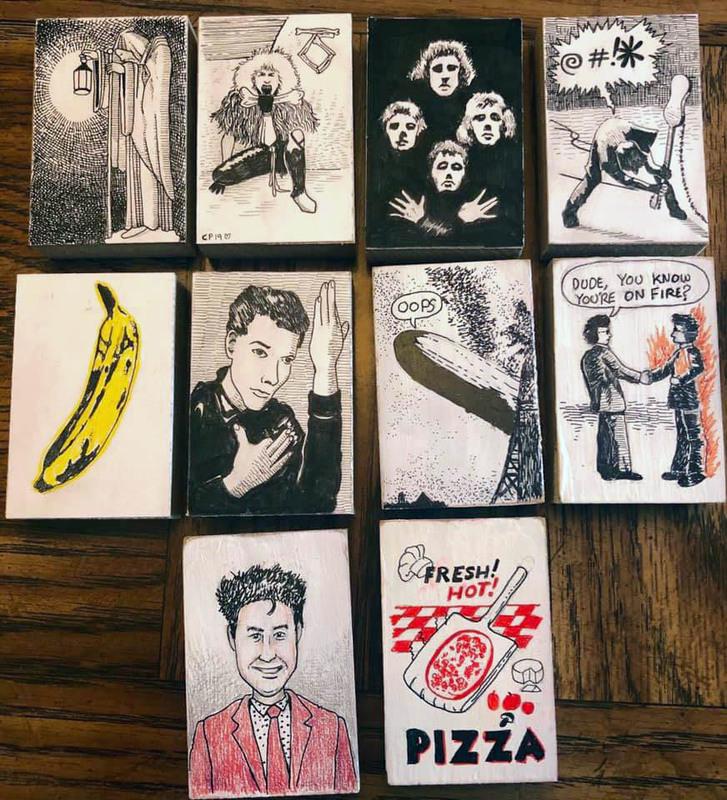 It’s a playful variety of styles and artists, available in the Mobile Art Machine, and are just $5 each! Stop by Rediscover Records in downtown Elgin in April and get one today.